According to the AKC standards, an average Yorkshire Terrier dog’s weight was supposed to be up to7 pounds, which is approximately 3.17 kg. There used to be no limitations over the minimum weight. However, today things have changed and currently, the AKC standard points the official weight of a Yorkshire Terrier from 4 to 7 pounds, which is about 1.81 to 3.17 kg. This, of course, leads to the conclusion that in past any breeder could create a 2-pound puppy without raising any excitement. On the other side, today it is highly important to keep your breeding practice in conformity with the standards. And such a limitation raises another question “What the tiny small teacup Yorkie could be?” Find out some detailed information about it, as well as about the specifications of the breeding! The information can, by the way, surprise and confuse you in the beginning. First of all, it is very significant for you to know that Yorkie is a kind of a Toy dog. The Toy group includes little tiny puppies such as Pomeranian, Yorkshire terrier and Chihuahua. 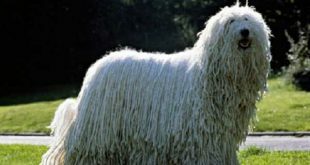 Very often the breeders, the public and the media will refer these dogs to teacup varieties, in other words smaller than the standard breed. The most popular tiny teacup Yorkie usually grows up to 1-3 pounds. 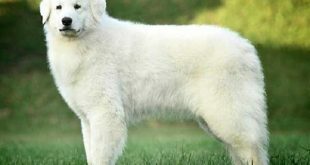 Such a size, though, makes the puppy neither an official breed, nor a variation. Even though, 1-3 pound Yorkies could exist and could be seen, too. Though, the breeding program for getting such a tiny dog isn’t an ordinary one. First of all, the breeder should make it a goal – to breed a litter of puppies that are with lower size than the average standardized one. Even though, this tiny small puppy may have some health issues or lower immune system to survive through different world’s obstacles, teacup Yorkies with such a small size can be classified and registered as a purebred. 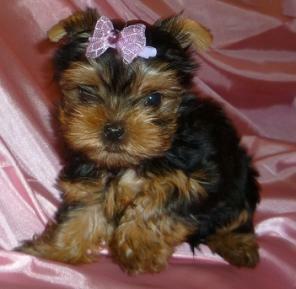 Imagine you would like to breed some tiny small teacup Yorkies. What you need to do in the beginning is to get a sire and dam for mating. Usually both selected dogs are undersized. 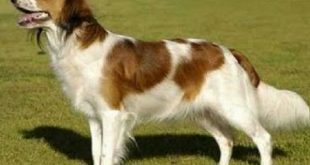 Though, keep in mind that just like with people, small dogs get parts of the genetic codes far from 5 generations back and from both – the dam and the sire. This refers to everything – not only to the size, but to typical characteristics, traits and canines. Also, very often breeders are used to mix a bigger female with a smaller male. So, a dam can be up to 4 pounds, while the sire – about 2 pounds. 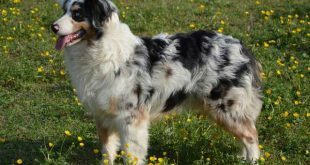 Such a mixture, though, doesn’t give you the full guarantee that the small puppy will be undersized, because you also need to check all the genetic codes of the parents in advance. Last, but not least, every breeding program for Yorkies have to be made very carefully, professionally and according to the needed information. Otherwise, the mating will acquire total unethical features since the newborns may get some really huge medical issues. Mostly, these health problems are connected with the hips and the knee joints of the puppy. 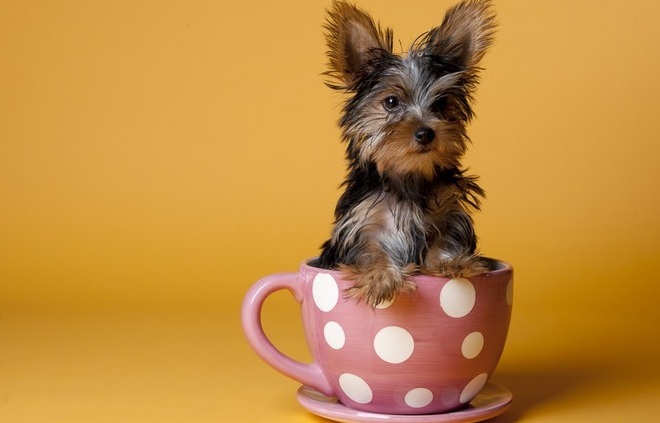 It could be good for you to know the health issues that your tiny teacup Yorkie may get due to his / her size and taking care of it. Naturally, a puppy that weighs 4-7 pounds is fragile, weak and tiny. In order not to hurt it, please apply harness instead of a collar. Also, be aware of the bone strength of your dog. The bone structure is usually the problematic part of the small Yorkies. Bones aren’t just more fragile, but their parts such as ligaments and tendons are extremely weak and always tend to get an injury. Add to this the possibility of hip dysplasia, which, by the way, is the case, when the hip joint and the socket slip of out of their regular position. The collapsed trachea, as well as breakages of bones – plus luxating patella – are typical problems for a weak tiny Yorkie. When the puppy is still small – especially at an age from 8 to 16 weeks – it is threatened by hypoglycaemia, too. Such a disease is due to the rapid drop of blood sugar level. You need to examine your little puppy for this issue regularly, because if it is not stopped in time, the final results might be fatal – including death. Besides the small size, the bad nourishment could also be a factor. Also, stress from replacing the puppy from one to another place might be a cause. Providing the necessary vitamins, minerals and calories to your puppy should be better with real food, not with kibbles, because their fillers do not let the important ingredients to get deep in the puppy’s organism. Such a weak and bad food may also harm your tiny dog. You can easily observe that your puppy isn’t fed well, because it acquires the following symptoms – confusion, bad orientation, drowsiness, not normal movements and finally even coma. In case you see some of these symptoms, you need to rub your puppy’s gums with a Karo syrup. Keep the drug at hand, because it usually normalizes the fine blood sugar level – especially, when it comes to such a tiny and weak creature! When you apply the syrup, do not end up with the needed cares, but take your small Yorkie to a vet or special hospital. Last, but not least, it is a fact that all the tiny teacup Yorkies die earlier due to heart issues. Even though this isn’t proved yet, better don’t risk and take care finely of your weak puppy. There are three main factors that will guarantee you a good care for your dog. First of all, check your puppy all the time. The sooner you find any bad symptom, the faster you will react and the bigger the chances to normalize your weak puppy’s immune system will become. Also, provide your teacup Yorkie the needed sleep. It should sleep finely, because any lack of sleep will harm the heart of your puppy. Remember that it is not as strong as a normal-sized dog, so make an improvised bed for your dog and place a good blanket, minimise the sunlight and keep the temperature in a regular condition. Speaking of the temperature, this is a top factor for having your teacup Yorkie with a healthy heart and great health condition at all! Even when the weather outside cannot be controlled, you can finely preserve the needed temperature for your dog – simply get it a dog sweater of fine materials and always dress the puppy up, when the temperature is below 68 degree Fahrenheit. Some good and warm shoes could make some really great job for temperature preservation, too. On the contrary, when it is too hot and you are taking your tiny dog for a walk, avoid the direct sunlight and choose a place, where there is a big shade. Never forget the water. In hot days, it is lifesaving for your little furry friend. 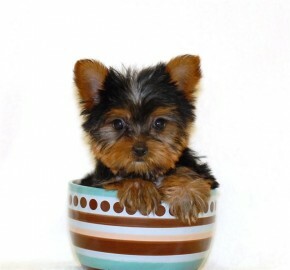 The teacup Yorkies aren’t appropriate for kids at all. Such a puppy isn’t a brilliant birthday idea for a child and if you have small kids at home, better do not consider, buying or taking care of a so small and tiny dog! You can compare it to any other fragile, tiny or small object that you will never get close to a small kid that cannot be careful not to break or damage things. Such a weak and tiny puppy can be harmed by kids, too! Previous Can dogs eat lettuce?